This article is part of a collection of updates in the Winter, 2014 edition of Muse News, the newsletter of the Las Cruces Museum System. 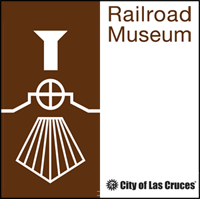 While the Las Cruces Railroad Museum looks forward to a new year, we first have to look back at a very successful ending to 2013 with our increasingly popular “Holiday Open House” event in December. This annual event, celebrating its ninth year, brought almost 3,000 visitors to the museum for an evening of music, trains, cookies, holiday cheer, and, of course, Santa. In addition to our open house, we had special events throughout December, with ornament making, Christmas caroling, special tours of our holiday decorated depot, and three special-needs adult visits with Santa. These events made the museum a very busy place during the whole month and wouldn’t have been possible without the hundreds of hours put in by our wonderful volunteer corps to help us with everything. The Holiday Open House at the Railroad Museum in December was a huge success. New exhibits planned for the year include a display panel describing the visit that former President Theodore Roosevelt made to the depot in 1911, a display of a large steam engine railroad whistle donated by the Mesilla Valley Model Railroad Club, and new vinyl floor signage leading visitors around the museum. On the caboose, we are awaiting estimates to come back on the cost for lead abatement. The caboose is coated with lead-based paint and needs to be abated before structural work can be done on it. We have applied for grants to cover some of these costs and anxiously await word on grant funding. Upcoming events include a brown bag lecture on February 11 by Rick Hendricks, state historian speaking on agriculture in the Mesilla Valley, and on March 11 Joe Gill will speak on railroading in the Silver City area. Don’t forget our continuing monthly programs “Family Game Day,” on the second Saturday of every month from 10 am to noon, and “Story Time,” every third Saturday from 11—11:30 am. The “Rail Readers Book Club” continues to hold meetings every third Wednesday of the month from 11 am to noon, and the popular “Dinosaur Train” program will continue during 2014. 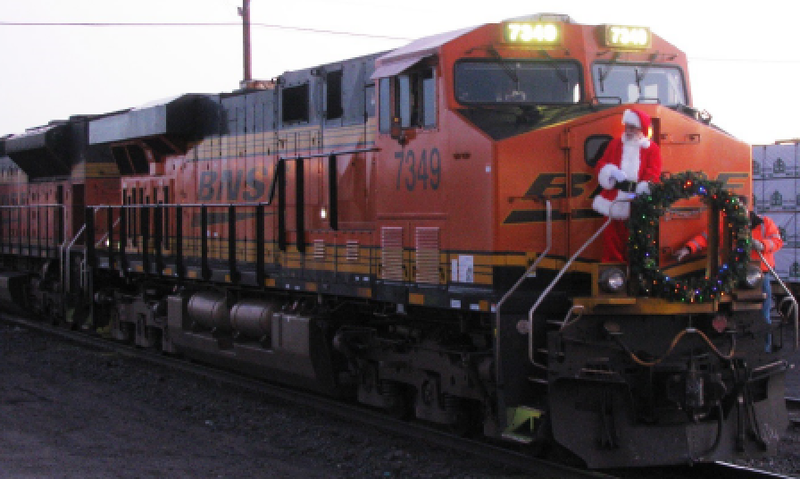 If you bought a new calendar for 2014 and would like to fill in some long-range dates not to be missed, be sure to include April 25—26 for our annual “Railroad Days” and December 5 for the “Holiday Open House” event.